The ancient bridge of Oich near invergarry in central Scotland was once an important part of the thin road network through the wilderness of northern and central Scotland, supporting the road from Fort Augustus to inverness. 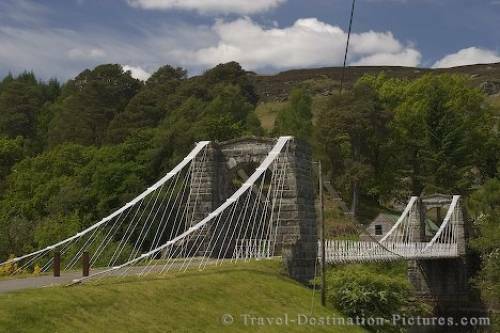 The Bridge of Oich is a suspension bridge which was constructed in 1854 and designed by James Dredge. Picture of the historic Bridge of Oich spans the Caledonian Canal in Scotland, Europe.